Marko and I first met in September 2005. I had started my fourth year of Dentistry at Sheffield University and Marko had just started studying electrical engineering at Manchester University. Marko is my brother’s best friend and it was the day they came to celebrate Marko’s birthday in Sheffield that I realised he was the one for me. I was particularly impressed with how intelligent he was. And he was extremely good looking! My parents, Davoud and Imelda, and Marko’s parents, Goran and Draga, were very happy to hear that we were together. He was also already very good friends with my three brothers, so it just felt right. To my great delight, Marko proposed on my birthday, in March 2010. He got down on one knee and presented me with the most beautiful ring, saying, “I want to spend the rest of my life with you. Will you marry me?” My eyes just welled up and I gave him a huge cuddle and said “Yes, of course!” I found out later that Marko had asked my dad’s permission to marry me – how romantic! We started planning our wedding in April 2010. My best friend Jessica was a huge help; I don’t think I could have done it without her. 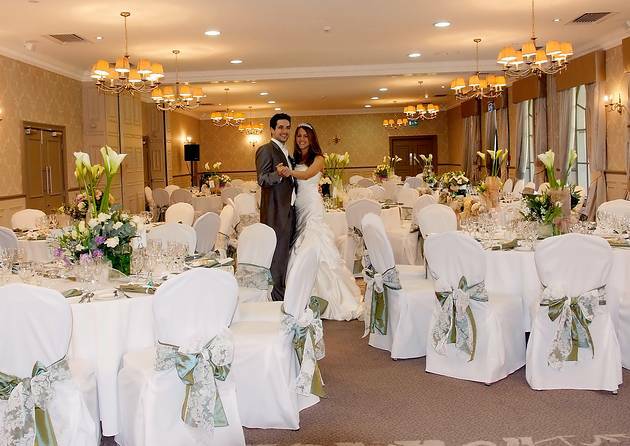 Marko and I looked at some possible venues, but when we discovered Mottram Hall in Cheshire, we knew our search was over. The 18th-century Georgian country house overlooks a lake and is set in its own beautiful grounds. 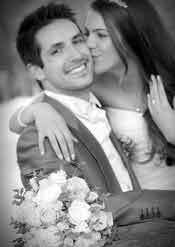 Samantha Allsop was our wedding co-ordinator and she was amazing. From the moment we first met to the end of the wedding day, she helped make everything stress-free. Marko and I were keen to have a spring wedding, so we set the date for 10 April 2011. 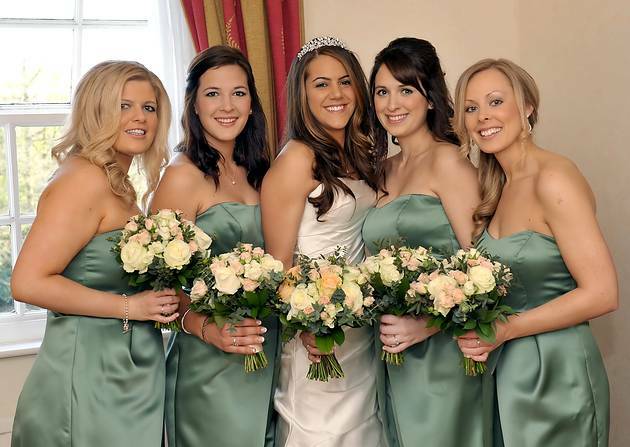 I chose a green Jim Hjelm dress for the maid of honour, Jessica, and bridesmaids Tianna, Irena and Helen, confident that they would look stunning on the big day. Unbelievably, I found my perfect dress in the second shop I looked in – Alison Burgess Couture. Jessica helped me to choose it and as soon as I tried it on, I knew it was the one. This was quite an emotional moment. 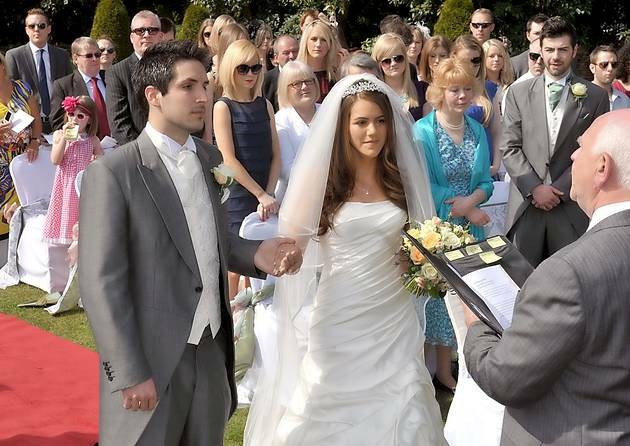 In February 2011, we received an email from Sam informing us that from April, Macclesfield Register Office would be able to conduct civil ceremonies outdoors and ours would be the first one. 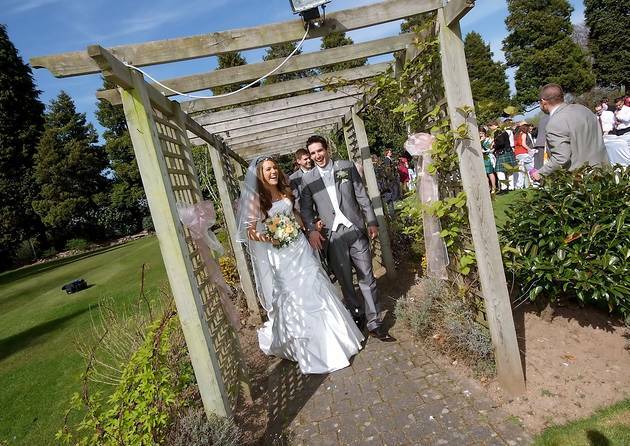 The idea of having our wedding in the Rose Gardens of Mottram Hall sounded so romantic; all we needed now was some good weather! The day came round very quickly, and I was so happy to wake up to sunshine streaming through the window. It was the hottest day in April and I honestly couldn’t believe our luck. Simon Mills from Essensuals of Bramhall arrived to do my hair, followed by the florist Snezana, who did all our flowers and chair covers in beautiful spring colours. The MAC make-up artists from Didsbury came next and they began to work their magic on us. Then the girls from Lily Rose arrived with all the gorgeous bouquets and buttonholes, continuing the spring theme. We personalised our day by giving everyone Simon Dunn chocolate lollies as favours, which read ‘Marko & Sheva 10/04/11’, and handwritten table place names done by my bridesmaid, Helen, who has beautiful handwriting. The moment I had been waiting for had arrived. My dad led me down the aisle to the Bridal Chorus. I got butterflies in my tummy when I saw Marko standing at the top of the aisle, looking remarkable in his light-grey tails, waiting to become my husband. I felt like the luckiest girl in the world. The service was very personal. As a special touch, we asked Tianna and Irena to read for us. We went inside to sign the register and then we were finally husband and wife. We were so happy that all the plans had come together and I think our registrar was relieved that his first outdoor wedding had gone to plan. After the ceremony, our ‘Just Married’ golf buggy was waiting for us. Marko drove me around the golf course and it made a great, and funny, ending to our ceremony. After the Champagne reception, next to the lake, we went to the St Andrew’s Suite for a delicious three-course meal. Everybody commented on the quality of the food, as well as how beautifully the room was decorated. 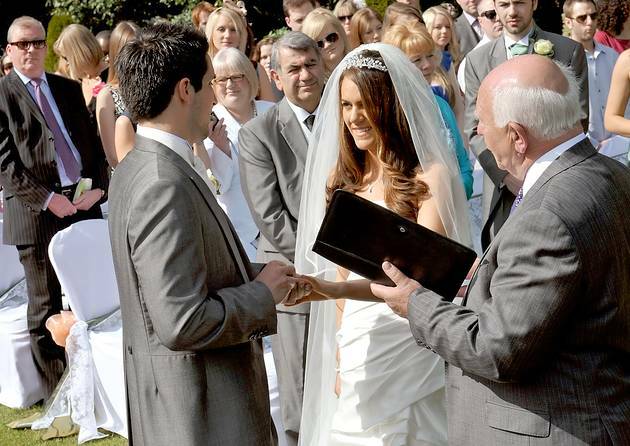 The speeches that followed had us laughing one minute and then crying the next. My parents presented us with a large frame containing pictures of both Marko and I growing up, accompanied by a poem about spring in the middle of the frame. It was so beautiful! Our first dance was to a cover of Louis Armstrong’s What a Wonderful World performed by my brother’s band, League Liege. They are a truly gifted and talented band who have written and created a lot of their own music; I am very proud of them. My youngest brother, Behnam, the lead singer of League Liege, and my other brother David also did a duet and sang Seal’s Kiss From a Rose, which was wonderful. 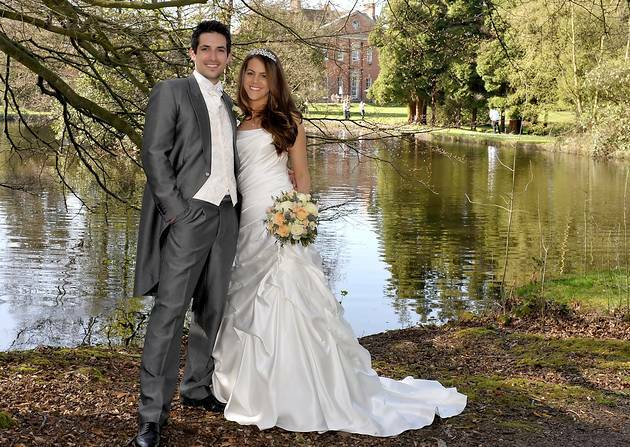 We would love to say a huge thank you to everyone who helped make our wedding day everything we ever dreamed of. It was perfect in every way. rO30SS Great blog.Really thank you! Much obliged. 67shQc I appreciate you sharing this blog.Really thank you! zuyXdX I value the blog article.Really looking forward to read more. iPUkSv Enjoyed every bit of your blog. Awesome.